The Scottish Government has announced funding for 250 extra school nurses as part of its investment in child and adolescent mental health services. Scotland’s first minister Nicola Sturgeon made the announcement as part of her Programme for Government speech to the country’s parliament. 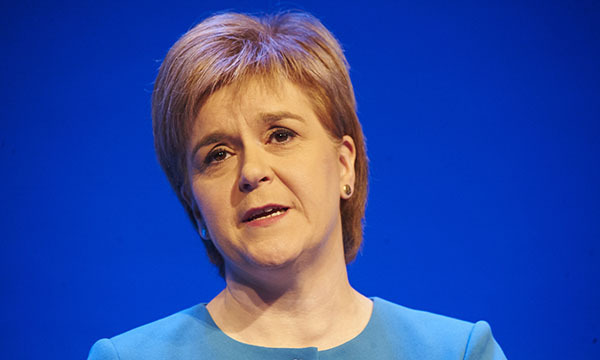 She said the Scottish Government was investing £60 million in additional school nursing and counselling services and it would be included in a ‘major reform’ of mental health services. The money is part of a £250 million health investment package set to deliver dedicated mental health counsellors in schools, extra training for teachers and additional school nurses to offer emotional and mental health support. RCN Scotland director Theresa Fyffe said: ‘It is good to see the Scottish Government commit to much needed investment in mental health services and the recognition of the important role nursing plays in supporting the mental health of people, young and old, across Scotland. In other nursing news for the country, RCN Scotland launched its Ask for More campaign today, as members of the Scottish parliament undertake initial work on the Health and Care (Staffing) (Scotland) Bill, which was introduced in May this year. The RCN is encouraging the public to support the campaign which is asking the Scottish Government to ensure a supply of nursing staff that meets demand to ensure patient safety. The campaign comes as NHS Scotland workforce data recorded the highest ever number of nursing and midwifery vacancies for the country at 5.3%.